Paul Strand (1890–1976) is considered one of the most significant photographers of the 20th century. His breakthrough work in the 1910s heralded photography’s importance as a modern art form. Early in his career he broke from the soft, impressionistic Pictorialist style to produce among the first abstract images made with a camera. His questioning attitude led him to radically change his work multiple times in his career, always with the highest ambitions for the quality of his photographic prints. In 1932, Carlos Chavez, the director of the fine arts department at the Secretariat of Public Education in Mexico, invited Strand to Mexico. At this time, the Mexican government was concerned with demonstrating a national culture that was reflective of a burgeoning, modern, twentieth-century Mexico. In light of this, Chavez invited Strand to document the new social and physical environment. Over the next two years, Strand travelled around Mexico photographing churches, religious imagery, local communities, and the land. Completely enraptured by Mexican culture, Strand ended his trip with over 175 negatives and 60 platinum prints. 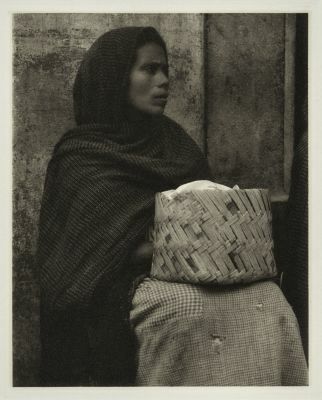 Strand selected 20 of these images for his 1940 Photographs of Mexico portfolio. 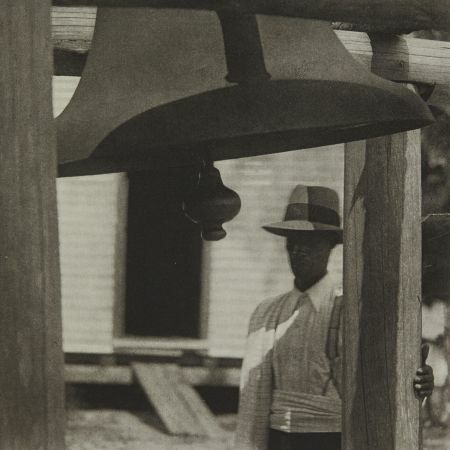 Produced in an edition of 250, Photographs of Mexico contains twenty hand-pulled photogravures printed by the highly skilled New York Photogravure and Colour Company. For each plate, Strand customized the nuanced ink color. After printing, a varnish was applied by hand to each print, giving the images a smooth, rich sheen. Twenty-seven years later, Strand re-released the portfolio in an edition of 1000 under the revised nameThe Mexican Portfolio. This portfolio stands out as one of the most elegant photogravure projects ever produced and we are happy to have a copy in the collection. The photogravures in this project, in particular, benefit from being viewed in reflected light, as the hand-buffed sheen takes on fantastic qualities in particular lighting conditions. Hand-applied varnish seen in reflected light. Victoria and Albert Museum, London 2017.